However, as the Android ecosystem has matured over time, we've noticed a healthy growth of alternative applications - both as open source and proprietary implementations - developed by the developer community. These alternative applications are not only capable to serve the first two purposes, but often times showcase richer set of features demonstrating the power of Android. Late last year, we began to clean up these applications in AOSP to focus more effectively on the last purpose — their role to provide functionality to other Android applications as part of the platform. To date, the following 3 apps have been cleaned up: Music, Calendar, and Calculator. See below for details on these updates. Going forward, you can expect to see similar efforts with the other applications in the AOSP repository. As always, we're excited to hear your feedback on the developer website or through our AOSP forum. AOSP's Music app can now playback music, one file at a time, and exposes itself as an intent handler for the android.media.browse.MediaBrowserService. The app has controls to play and pause, and a slider moving forward and backward. Features removed include: Music Icon, Artists, Albums, Songs, Playlists, Search, and Settings. 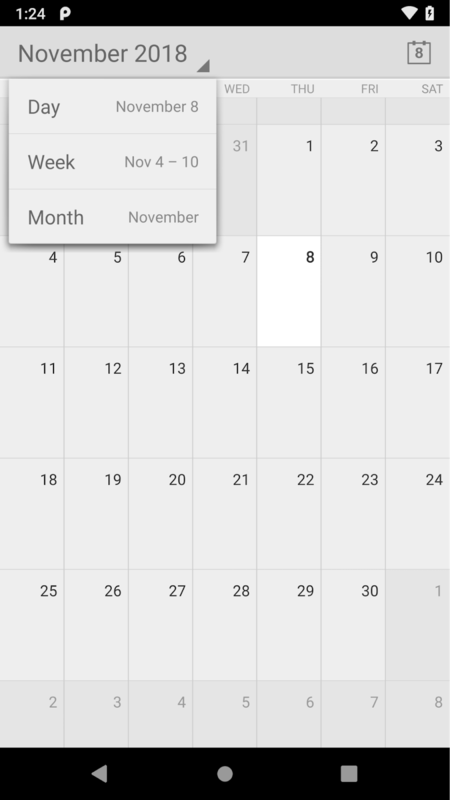 AOSP's Calendar app now exposes itself as an intent handler for the calendar events. New events cannot be created and existing events cannot be edited or deleted. The following features have been deleted: support for multiple accounts, reminders and settings. In addition, some features remain that are not needed for providing a part of the platform functionality: views for day, week, and month. This app may be further simplified in the future. The calculator application is a standalone app, and does not function as part of the platform and hence has been removed from the AOSP build. However, the application will continue to exist as an open source project separately.